Turmeric (curcuma longa) has anti-inflammatory properties as well as being an antioxidant. For this reason, you will cur cumin (the active ingredient in Turmeric) in many remedies for the treatment of skin conditions like eczema, psoriasis and atopic dermatitis. 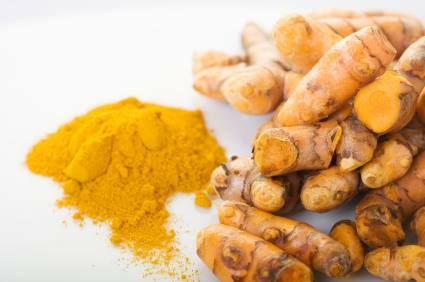 Turmeric has also been used naturally to aid in the treatment of high blood pressure, cholesterol and diabetes. This mildly peppery, bright orange root has a myriad of uses and is wonderful consumed with food. Turmeric (Curcuma longa) is a wonderful natural treatment for rosacea, acne and several other common skin conditions. It is a rhizomatous plant of the ginger family and is native to tropical South Asia. India is the world’s largest producer of turmeric, but it also grows wild in the forests of Southeast Asia. The rhizomes are boiled for several hours and then dried in hot ovens, after which they are ground into a deep orange-yellow powder. Turmeric’s active ingredient is curcumin, and it has a distinctly earthy, slightly bitter, peppery flavor and a mustardy smell. In medieval Europe, turmeric became known as Indian saffron, since it was widely used as an alternative to the far more expensive saffron. Turmeric is not only used as a spice in curries and other South Asian and Middle Eastern cuisines, but is it also used to protect food products from sunlight. In combination with annatto, turmeric has been used to color cheeses, yogurt, dry mixes, salad dressings, butter and margarine. Turmeric is also used to give a yellow color to some prepared mustards, canned chicken broths and other foods, as well as a dye for fabrics. Turmeric is also used in various Hindu rituals. It is widely used in all parts of India during the wedding ceremony, and newborn babies are also rubbed with turmeric on their forehead for good luck. In Micronesia the preparation of turmeric powder for embellishment of body, clothing and utensils had a highly ceremonial character. In Ayurvedic practices, turmeric has many medicinal properties and many in South Asia use it as a readily available antiseptic for cuts, burns and bruises. It is also used as an antibacterial agent. Pakistanis also use it as an anti-inflammatory agent, and remedy for gastrointestinal discomfort associated with irritable bowel syndrome (IBS) and other digestive disorders. Indians, in addition to its Ayurvedic properties, use turmeric in a wide variety of skin creams that are also exported to neighboring countries. The National Psoriasis Foundation acknowledges the efficacy of certain dietary supplements in minimizing psoriatic flare-ups, among them curcumin/turmeric. Citing turmeric’s role in both food and traditional medicine, the Foundation states many sufferers use it as a means of alleviating their symptoms. Anecdotal evidence seems to attest to its success. There are many commercial preparations with turmeric to help control rosaceous, as well as use for irritated skin, psoriasis and acceleration of wound care. Many companies have also developed skin creams to help produce soft, smooth glowing skin. Turmeric is an effective natural remedy for many skin ailments, including rosacea. Jeanette Jacknin, M.D., (JJMDSkinCare.com and DrJacknin.com) is a board-certified dermatologist. She is a well-respected physician, entrepreneur and author with a passion for nutricosmeceuticals and holistic dermatology. Dr. Jacknin’s is the author of, “Smart Medicine for Your Skin”, published by Penguin Putnam. She is available for consultation. Contact her at jjacknin@gmail.com.